The village of Machulo has great potential in the apricot industry, however, lack of education and training mean the sector has not developed. Most of the apricot trees have not been grafted and are wild leading to a lot of wastage. 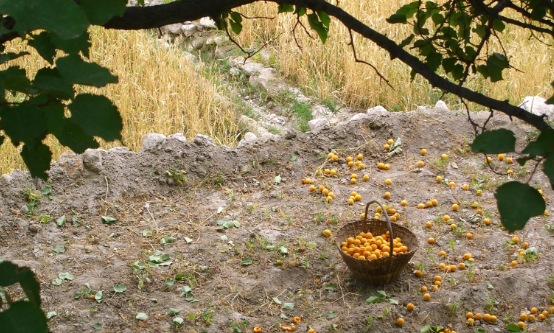 Hundred of tons of apricots are destroyed every year. Nothing has changed for hundreds of years. Traditionally, apricots were preserved and fed to the cattle. Sold in the market they would only realise about 100 rupees for 80 kg. The FFB realised that if people were trained in proper, high quality preservation of the fruit they would be able to generate substantially more income. The Foundation organised trips for local women to Hunza and Gilgit to show them what could be achieved and to teach them how preservation techniques. In addition, they learnt how to graft quality apricots on to the wild apricot trees. Three hundred wooden apricot drying stands were provided by the FFB, distributed amongst the households. In return each household was required to make six wooden trays and produce 40 kg of dried apricots. The FFB hired trainers from Hunza to teach the local people. Now they are able to preserve apricots to international standards and can sell them for 70 rupees per kilo. Thanks to the Foundation this is now an effective money earning sector. In cooperation with the Baltistan Fundazioa, some 2,000 kg of dried apricots have been exported to Spain. The FFB realised that there were ways to make the apricot harvest even more valuable for the local people, enabling them to generate more income from their efforts. 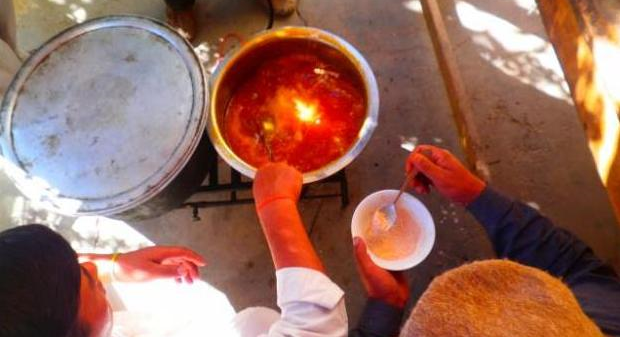 In 2009 the Foundation hired Khadim Hussain from the village of Saling to train women to make apricot jam. 15 women from Machulo and another 15 from Balaygone were trained. Annual production of jam is now around 300 jars. In the world of medicine, the Sea Buckthorn plant has been called a magic plant. For years the local people have been selling it as a raw material to the industry for very little financial return. To improve the situation, the FFB's food preservation project has expanded to include the preservation of Sea Buckthorn. Sea Buckthorn Jam and Sea Buckthorn Squash has now joined Apricot Jam to boost the income of the local farmers.